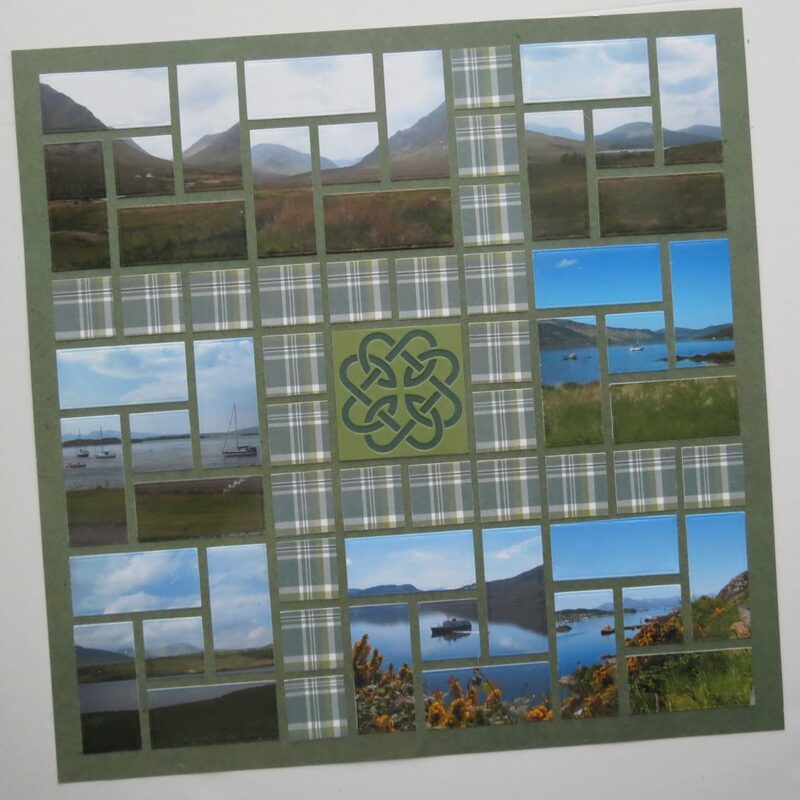 We are used to seeing 1” squares in a mosaic page design, but today I’d like to show you how I’ve used our new 3×3 Strip Frame die and Pattern#124 to complete a page full of 1” squares and 1×2 sections. I’ve chosen several landscapes for this project as I thought they would work together well. Some have mountains or lochs some have both. 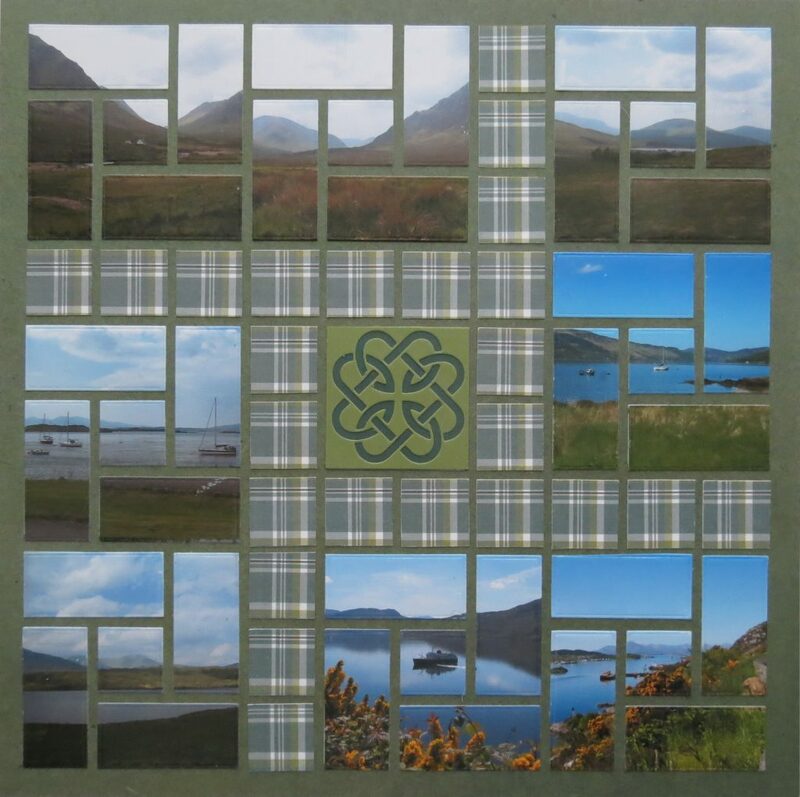 The lighting varies a bit but the many shades of blues and greens help to unify the page. 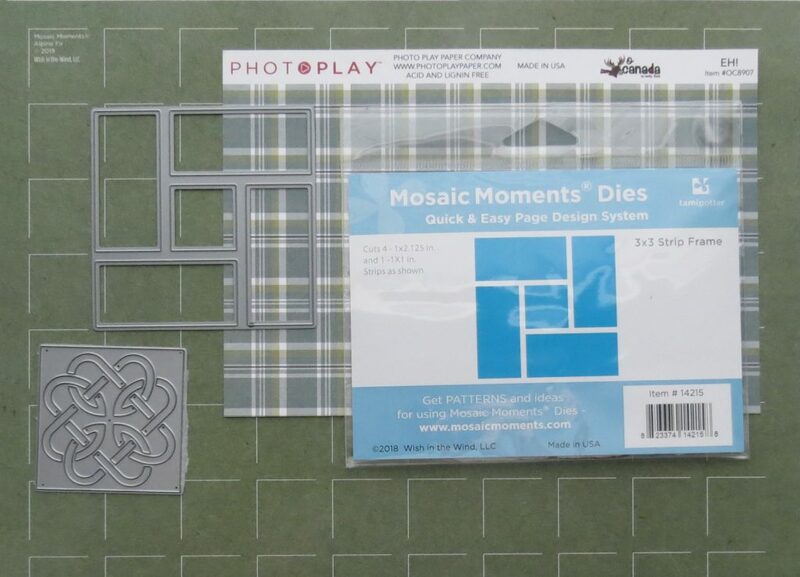 There were several choices of Mosaic Moments Grid colors from our newest collections to pick from It was difficult to make a decision. In the end it was the heathery green of the Alpine Fir green from the Yukon Territory Collection that I liked the best. “Eh!” Patterned paper from the O Canada Collection by Photoplay is used for the 1” squares that surround the center square and divide the other squares into groups of two. 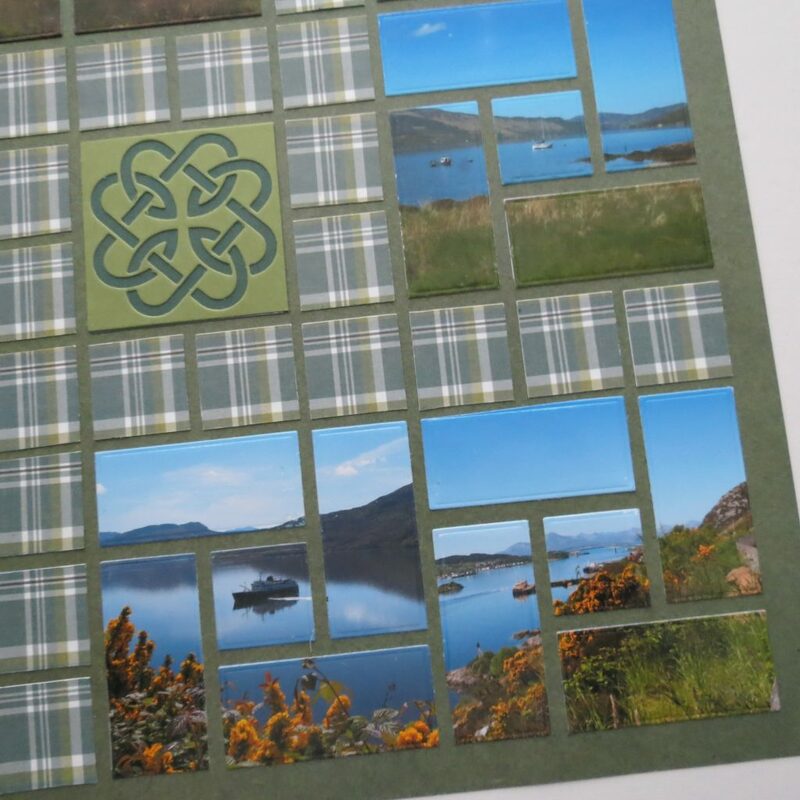 I thought it was a nice blend with the pictures and grid paper. 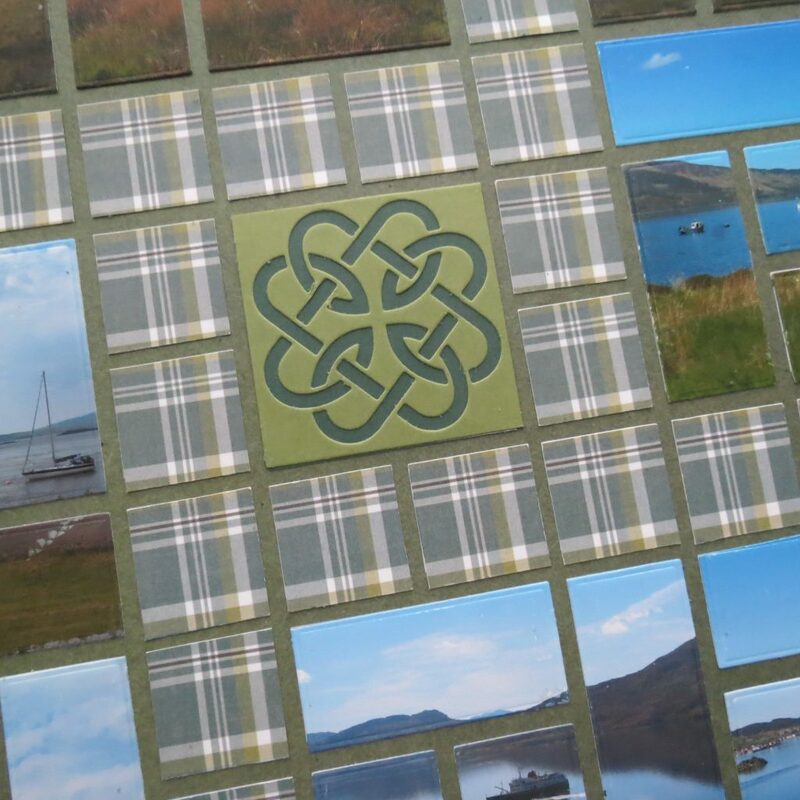 I’ve fussy cut the paper to maintain the pattern of the plaid as it fills the page for a nice overall look and it leaves me with a good amount of paper to use on another page in the album and that helps to tie things together too. 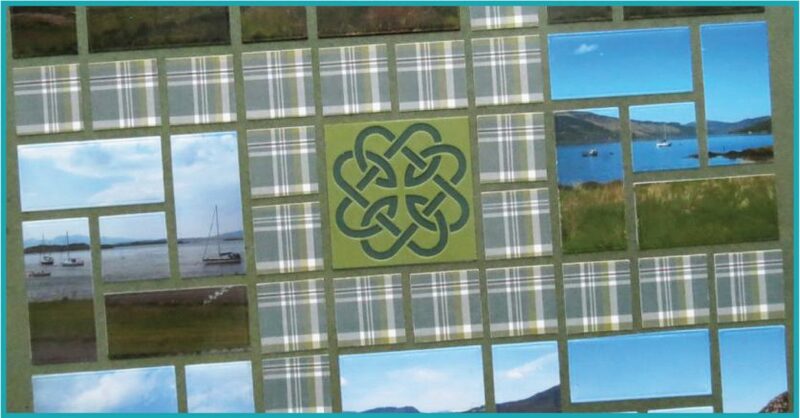 In the center, I’ll use one of the dies from the Celtic Knot Die set. I found a couple of blue and green cardstocks that matched my papers nicely for my center 2×2 square. 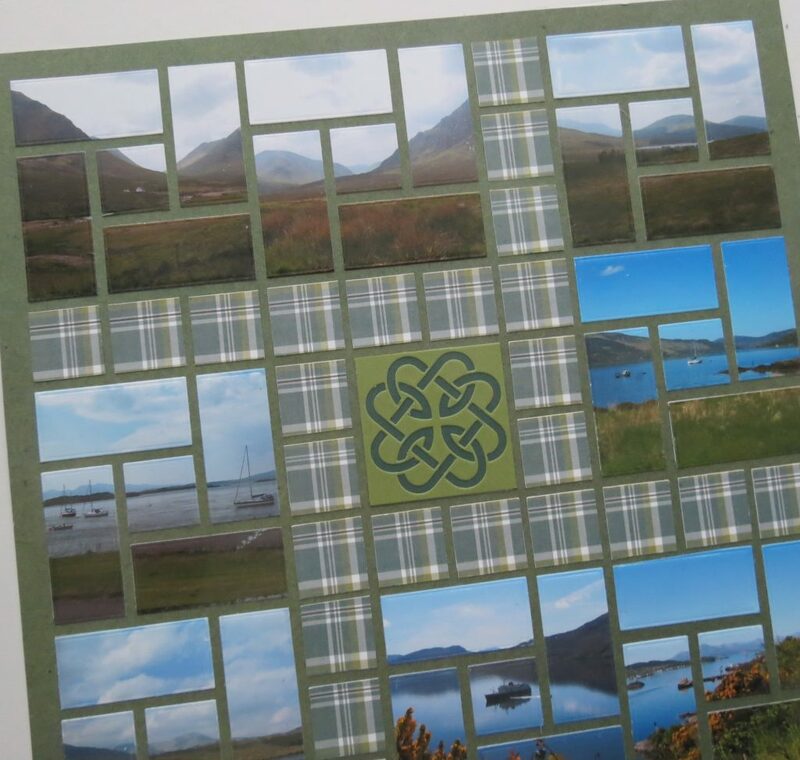 The Celtic Knot Dies nicely compliment the scenic highland theme. Most of these photos are random shots that I’ve stopped along the road to take and stand apart from those I’ve taken in larger groups around specific destination photos. There’re just so many beautiful spots to capture along the way, this is a good way to make it interesting. They make a perfect montage of scenes for a page in a travel album without needing journaling or even tagging, especially when some of the names of the stops are long forgotten. 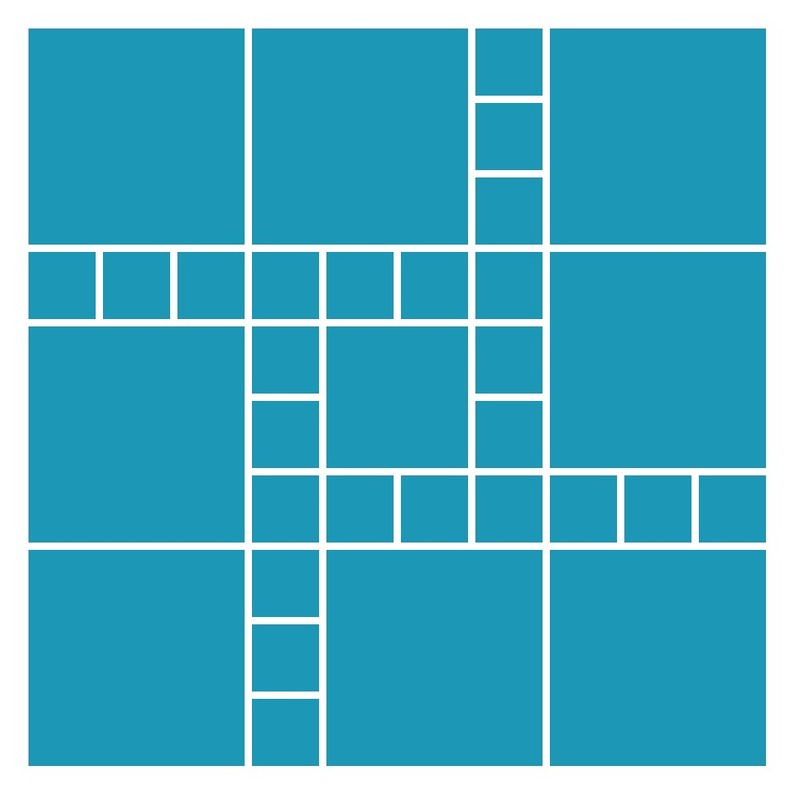 I think this 3×3 Strip Frame die would also make a nice word block pattern, maybe I’ll try that next!